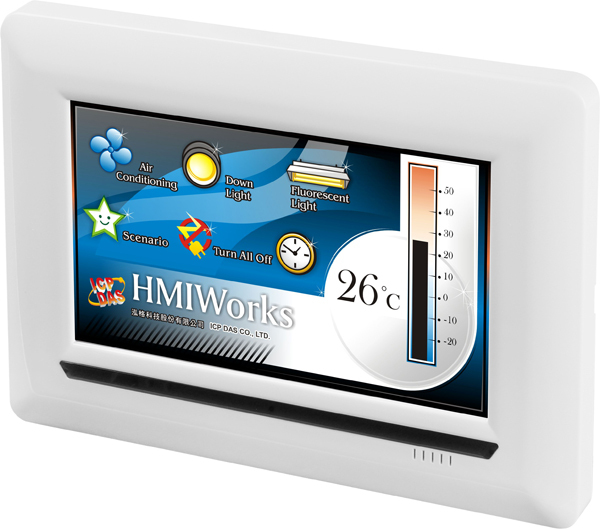 The 7" inch TPD-703-64 model is a tiny touch HMI device and designed for building and home automation. 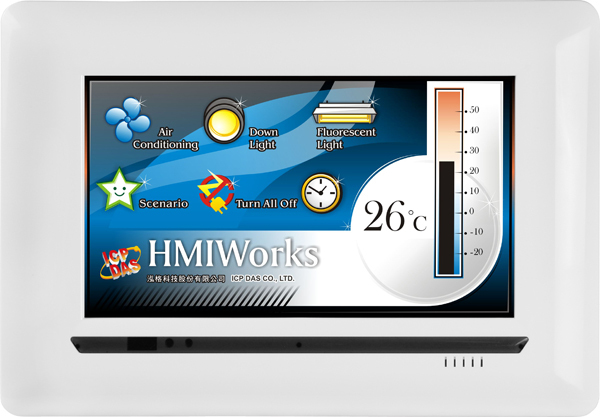 It is equipped with high resolution TFT color touch screen and fits in with regular electrical wall-mount outlet. It can be integrated with a user-defined picture interface. 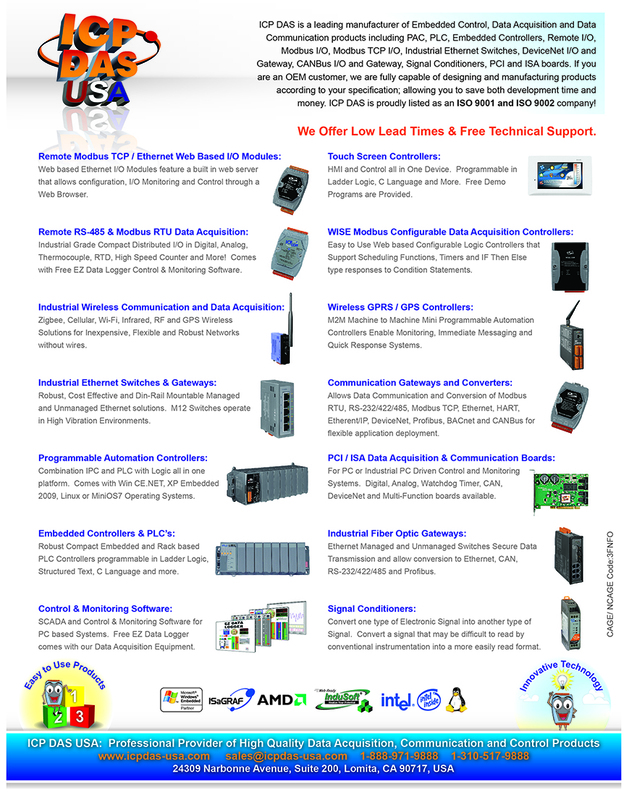 It is the best choice for switching from a mechanical to an intelligent control pads. 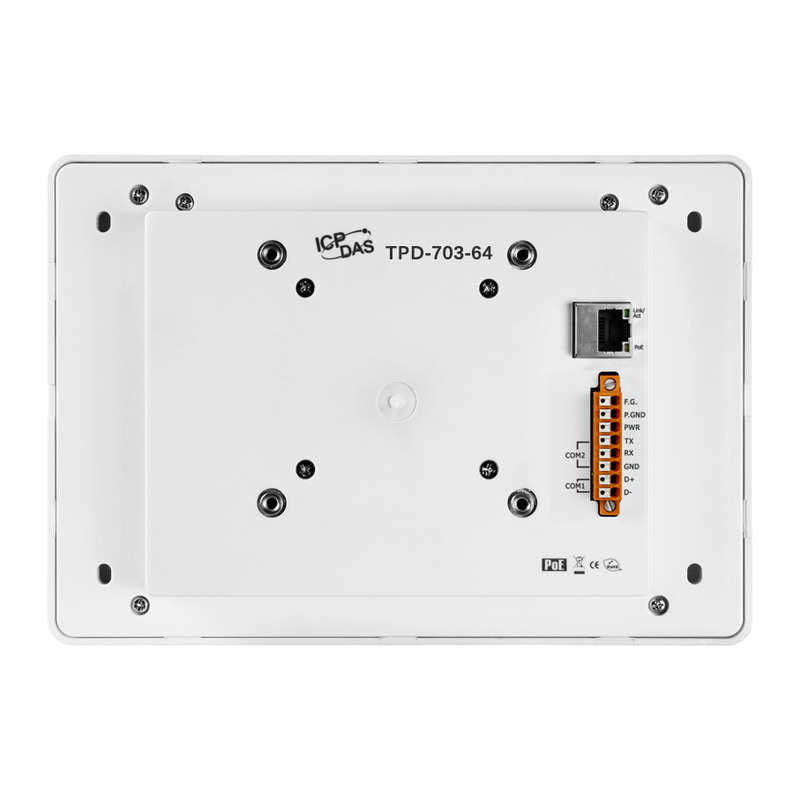 The TPD-703-64 communicates over RS-485, RS-232, Ethernet, Modbus RTU, and Modbus TCP protocols. It has 64 MB SDRAM and 64 MB of Flash Memory. The screen is very bright, vivid and durable. We used it for gate control and also display all the status of the gates for our facility. The demo programs and tutorial programs had a lot of good info that helped with application development. It's a quality product.